Even though right now winter seems never ending, spring is coming and its the perfect time to give your skin some TLC. After months of freezing cold conditions your complexion is probably feeling dry, sore and may look dull and lackluster. This is largely down to harsh winds, indoor heating and general neglect. In colder weather water evaporates very quickly from the skins surface which stops skin shedding correctly. This often leads to dryness, giving us that dull looking complexion we try to avoid. 1) Diet – beauty starts from within so make sure you are eating a diet rich in healthy fats. These can be found in foods such as oily fish, nuts, seeds and avocados. In fact, avocados also contain vitamin E which helps to strengthen collagen in the skin, so try to include these daily. 2) Hydrate – drinking plenty of water will help to flush away any toxins and will keep skin looking plump and moisturised. If you have a serious coffee habit, think about switching it for herbal teas to cut down on caffeine. 3) Cleansing products – try to avoid any alcohol-based cleansers or toners as these can irritate dry skin. Exfoliate twice a week to help shift dead skin, but if your skin is inflamed or irritated exfoliating may make things worse. If this is the case, stick to creamy facial cleansers instead. 4) Moisturisers – while it may be your natural instinct to reach for a thick, heavy moisturiser, this may not be the best option for dry skin. These types of products are often so heavy that they sit on top of the skin forming a barrier. Instead, try lighter creams, serums or oils which will penetrate deeply into the skin. 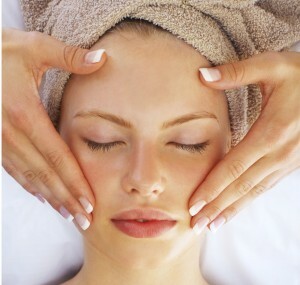 5) Try a treatment – if you really want to indulge your skin, treat yourself to a professional facial. A qualified beautician will be able to diagnose your skin type and come up with an appropriate treatment. For dry skin a treatment that helps to increase blood flow, flushes away toxins and rehydrates skin is ideal. 6) Tone-up – face and neck exercises will help to keep the muscles in your face firm as well as encouraging blood flow to nourish skin and flush away toxins. Next time you moisturise, place fingers on either side of your neck, under your ears. Gently push the skin in a sideways motion towards the back of your neck ten times. Facials are great for your skin whatever the weather, if you want to find out more, take a look at our Facials page.